With deep gratitude for her contributions, the Board of Directors of The Undercurrent and STRIVE announces the departure of CEO Margaret Malewski. For the last year and a half, Margaret has committed countless hours of her life to fill the role of our organization’s first full-time CEO. Margaret brought a consummate level of professionalism to the task of pursuing her objectives. By achieving them, she has moved the organization forward, and transformed it. Her efforts have made a difference to literally hundreds of students, and have left their mark on the organization. We are happy to announce that Margaret will stay on the TU/STRIVE team as a permanent member of the board of directors, where we hope her experience leading the organization and in the wider business world will continue to pay dividends for years to come. The concept of STRIVE and STRIVE clubs was Margaret’s innovation. She saw that there was room on campuses for an Objectivist-oriented student club focused on the achievement of personal values. In these clubs, philosophy is to be approached as a guide for living, not as a debating tool. Students could benefit especially from a focus on principles of value creation. In recognizing this, Margaret created a new value herself. Numerous STRIVE clubs have now been formed. We are delighted that Margaret identified the leadership skills of our newly appointed Student Executive officers, Sydney Hoff, Jennifer Minjarez, and Grant Parker, who are poised to help carry on the STRIVE torch. We are hopeful and confident that other students will also rise to the occasion and help to make STRIVE a self-sustaining, student-driven movement. 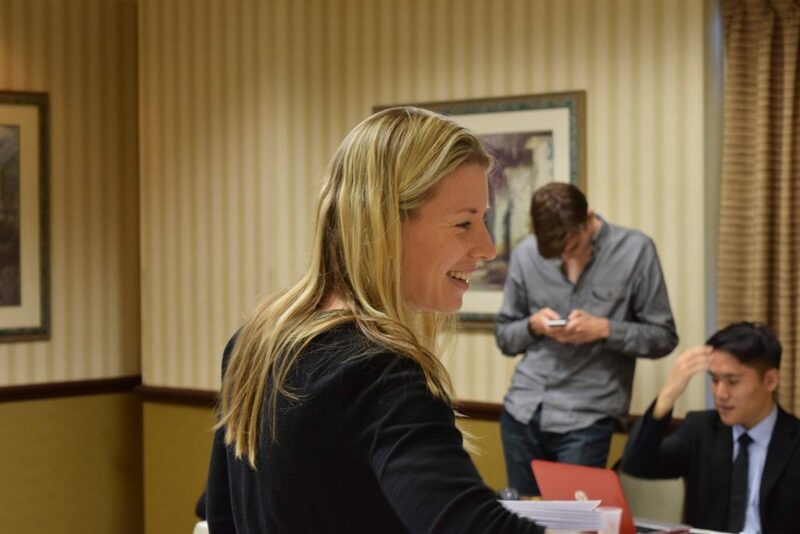 The Fall 2015 STRIVE student conference was our organization’s most successful conference to date, and this was due in no small part to Margaret’s distinctive vision, leadership, and networking skills. For the first time, students could attend talks by both Objectivist intellectuals and Objectivist entrepreneurs, and explore the natural alliance between philosophy and business in value creation. Without Margaret’s role as CEO, STRIVE unfortunately cannot continue to host these conferences. It is our hope that the Ayn Rand Institute will continue the fall student conference tradition on the model Malewski played a critical role in constructing. A fortuitous bonus of Margaret’s vision and networking efforts has been the growing success of the STRIVE mentorship program. In seeking out potential role models for students who have succeeded in practicing their principles, Margaret has unearthed a network of Objectivist professionals that has lain dormant for too long. We are thrilled that Margaret was able to identify Sarah H. Silverman’s skills in overseeing this network, and that Sarah will assume ongoing commitment to cultivating and managing the mentorship program going forward. 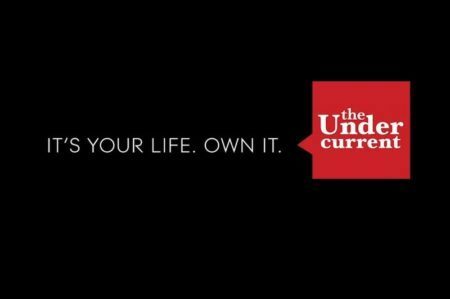 The Undercurrent’s magazine and blog have continued to thrive under Margaret’s capable management. Under her tenure, TU’s content production and the mission of STRIVE became increasingly integrated. 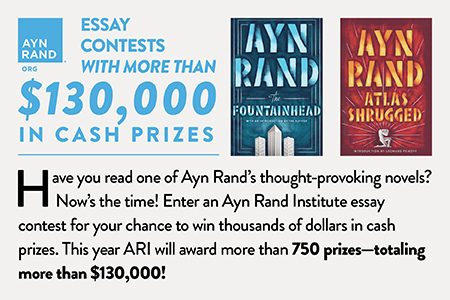 The themes of print issues have become more closely targeted to STRIVE’s program of philosophically-oriented professional development, and the #CapitalistAndProud essay contest has attracted numerous contributions. We are also extremely grateful to J.A. Windham, who took responsibility for spearheading the past year’s initiatives and succeeded in identifying a capable successor, Jon Glatfelter. Fittingly, Margaret’s last act as CEO was to conceive of and obtain funding for the new STRIVE Venture Fund. Her enterprising idea will help incentivize an entrepreneurial approach to student activism itself. Margaret succeeded in securing $5,000 from a generous donor, dispersible in small grants of $100 or $250 to students with provocative ideas for reaching their peers intellectually and professionally. The STRIVE Venture Fund should further help to sustain and carry forward Margaret’s legacy with STRIVE, especially since she has agreed to stay on as our treasurer. Thank you, Margaret Malewski, for your work, your ideas, and your passion for STRIVE and TU. We know you are not leaving us, but your constant presence and oversight will be missed just the same. We wish you the best in your future endeavors. We know you will continue “To strive, to seek, to find, and not to yield,” just as you have inspired our students to.